Imagine an annual event centered on churches, involving as many as 3.5 million people at locations around the world on the same day! It’s happening again on September 16, 2018. 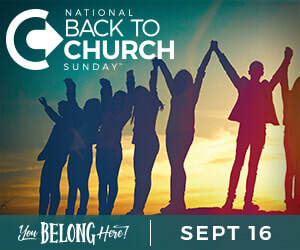 The event is National Back to Church Sunday®, a movement that has involved over 31,000 churches from all 50 states, over 120 denominations, and 90 countries worldwide. Bethany Grace Community Church will be participating in this annual event with a weekend of festivities. On September 14, 2018 at 7:00 PM, the church is sponsoring a free movie night for the community to watch, “God’s Not Dead: A Light in the Darkness.” The movie is a powerful reminder that in all circumstances, Christians are called to be a light for Jesus to a world in desperate need for hope. On September 15, 2018, the church will be holding its monthly food pantry and clothing closet ministry from 10 AM- 12 PM. The monthly distribution provides free food and clothing to over 100 men, women, and children. For more information, please visit www.faithinactioncentral.com. On September 15, 2018, church members and invited guests will join together for our Annual Church Picnic at 2:00 PM at the home of Kenny and Lynn Sungenis. Please RSVP by emailing cplummer@bethanyinbridgeton.com. On September 16, 2018 at 10:45 AM, the church will be holding it’s Back to Church Sunday and Faith in Action Kick-Off Worship Service. Church members are encouraged to invite their family and friends to this special worship service, which will feature guest vocalist Mike Nichols and others. Following the worship service will be a free community lunch at 1 PM in the church outreach hall. Faith in Action (FIA) is a four-week, church-wide campaign that creates an outward focus and a heart to serve in the congregation. On Oct. 14, FIA will culminate in a Sunday where regular services are canceled, and the entire congregation engages in service projects in and with the community.